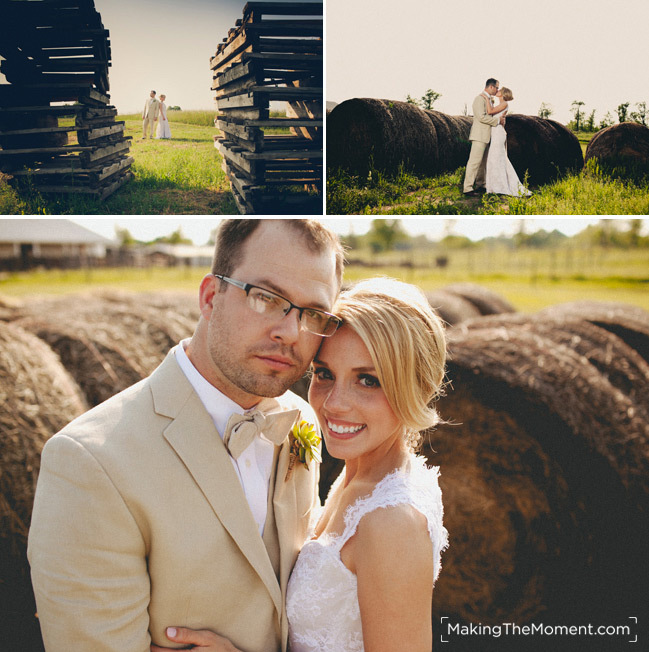 Brandon and Kat had the most amazing country inspired wedding I have ever had the pleasure of photographing. 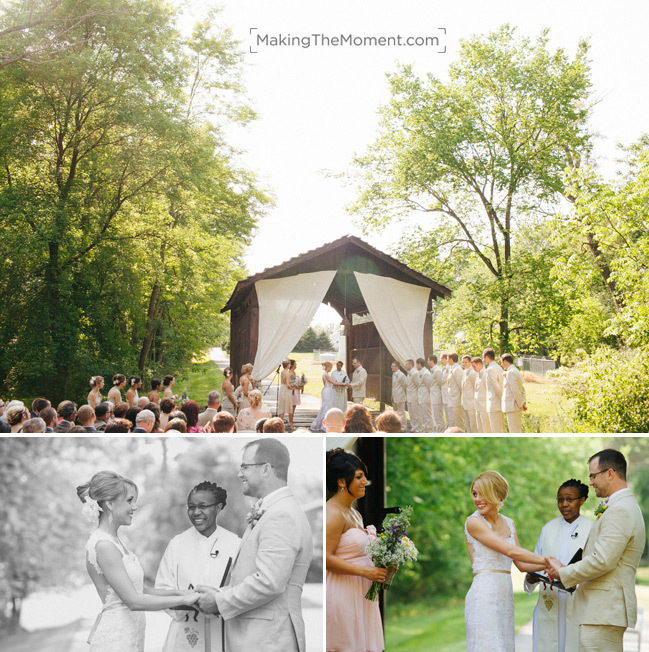 This wedding at Brookside farms in Ohio was beyond beautiful. These two are literally two of our favorite people of all time. Brett was lucky enough to photograph their wedding photography engagement session last summer. 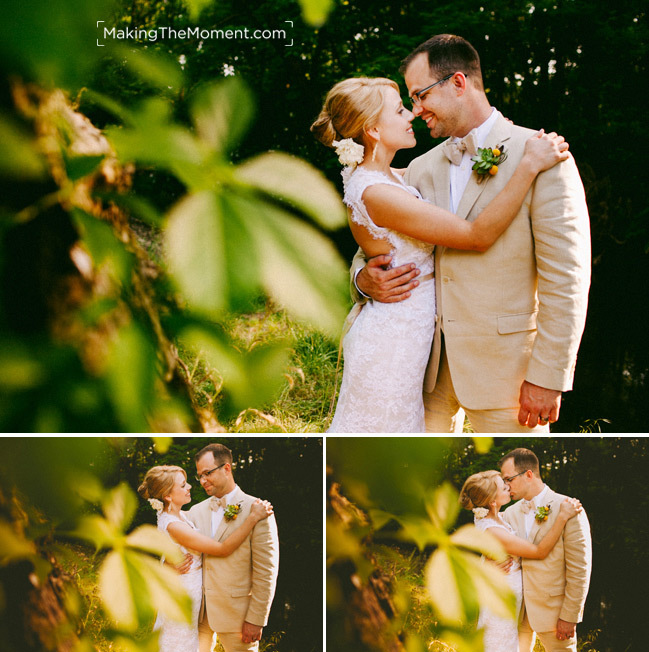 After hearing about how awesome they were, I was excited about photographing their wedding at Brookside Farms. Brandon picked out the flowers for Kat’s bouquet and designed the way it went together as a special surprise to her. Brandon is a good man – really caring about Kat and romancing her. The details of flowers, lighting, buildings, and even down to Kat’s amazing vintage lace dress were all out of this world. Kat is an awesome and inspired wedding designer. Photojournalistic and candid wedding photography are at the heart of all the weddings we photograph. The small stories and little pies and parts to a couple’s day fold together to tell the story of a wedding. 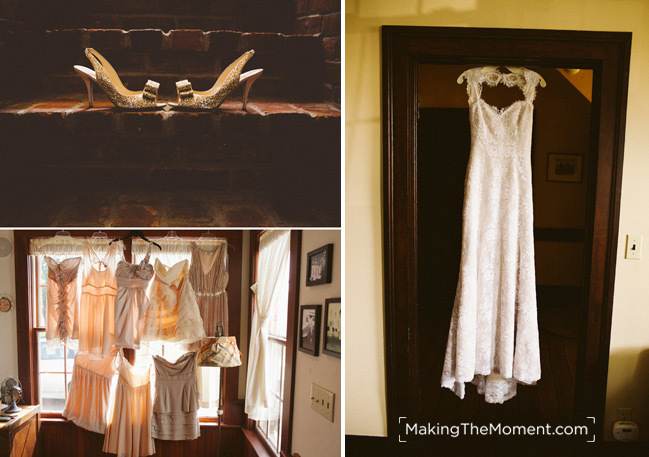 Kat looked absolutely gorgeous in her vintage and lace wedding dress. It’s amazing how often couples have a misconception that being a “solo” wedding photographer means that a wedding photographer can’t handle all parts of a wedding day. It was super easy and fun for me to spend the morning candidly photographing the ladies and the men – not missing a beat. Their first look was beautifully touching, as Kat came out they exchanged love letters while back to back and then turned around to enjoy each other for the first time together. 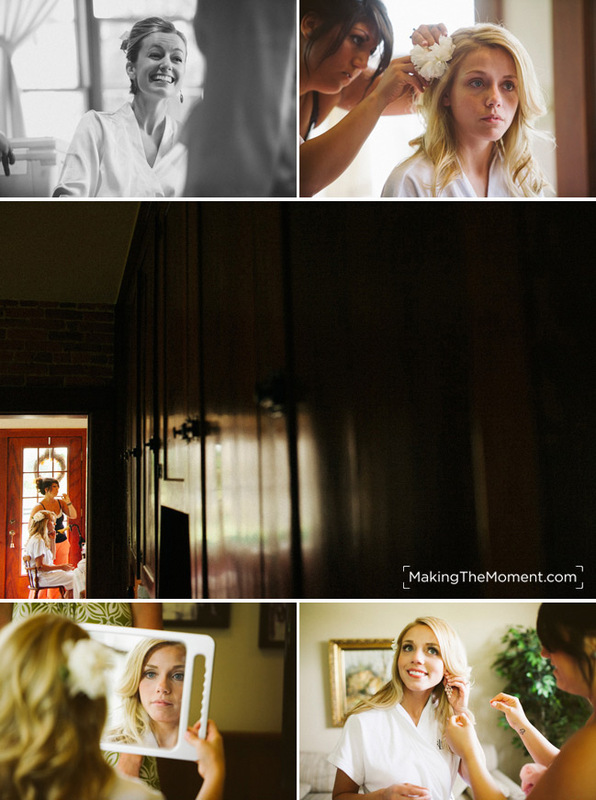 After their introduction, we spent the early part of the day making creative wedding photography at Brookside Farms. 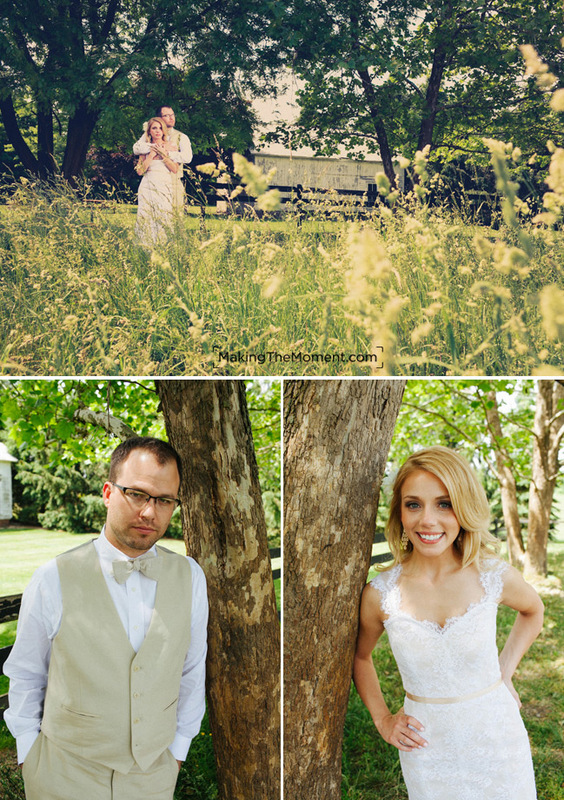 Wedding photography at Brookside Farms in Ohio is easy and fun. The landscape is full of wondrous and beautiful creative opportunities – and Kat & Brandon trusted me to craft some beautiful artwork for them. 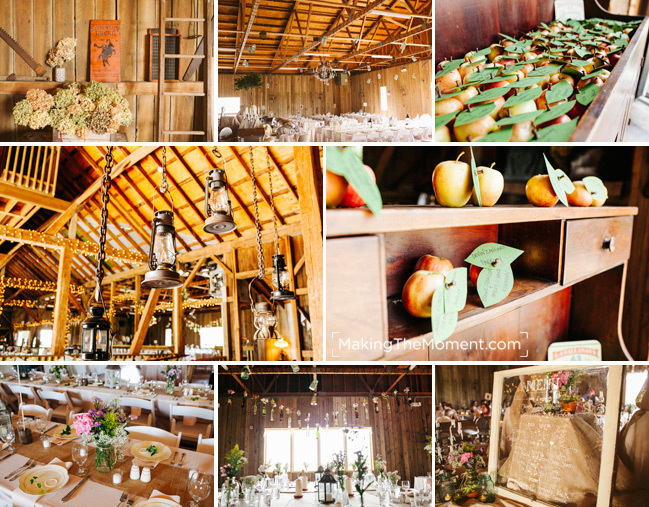 As you’d expect, Brookside Farms has an awesome barn – just ripe for a creative wedding photographer. The outdoor wedding ceremony was brilliant – full of sweet moments and tenderness. The sun just peaked over the back of the land bridge at Brookside Farms during the wedding ceremony, allowing for some very creative wedding images to come to life. 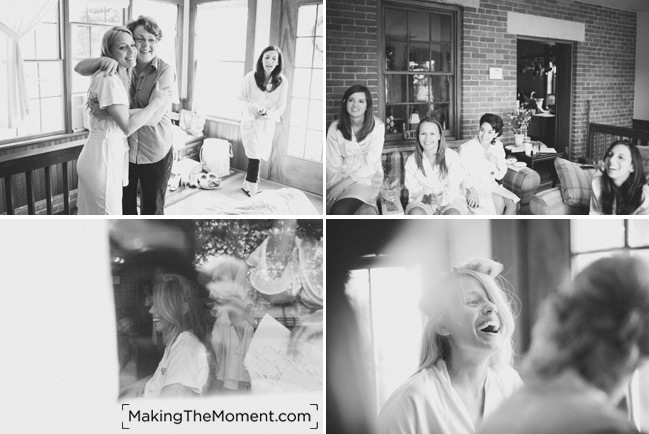 Kat’s girls were so fun – we had a awesome time making group imagery happen. Fun wedding photography is so central to our approach to modern wedding photography here at Making the Moment Photography. 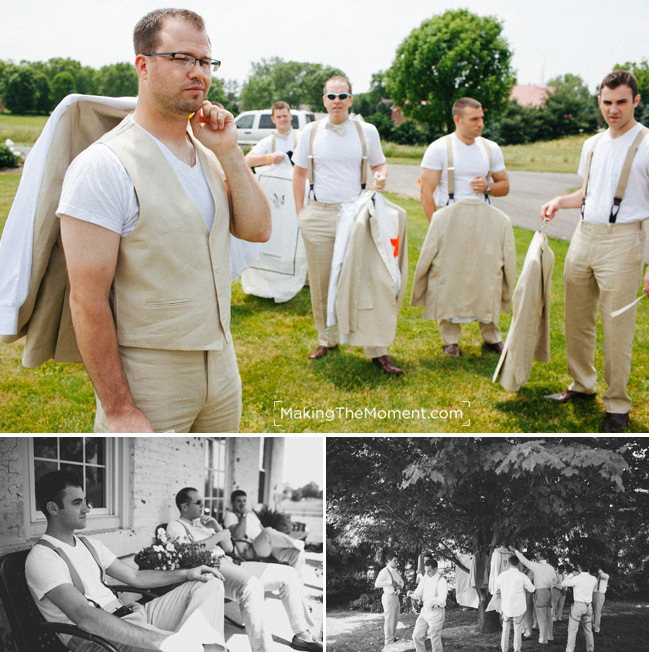 Why settle for the “same ol’ same ol'” group pictures? They come off as stagnant and staged – real friendships have joy and spontaneity. The same approach goes into our couples wedding photography. 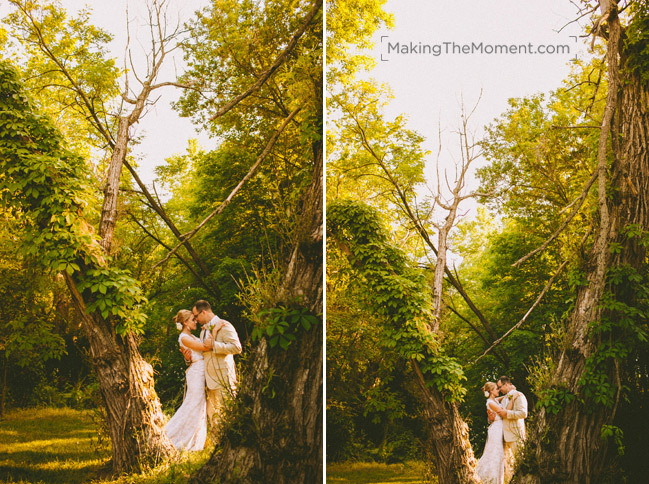 We let couples come unhinged and just “be” – making for the best natural wedding photography you can have. 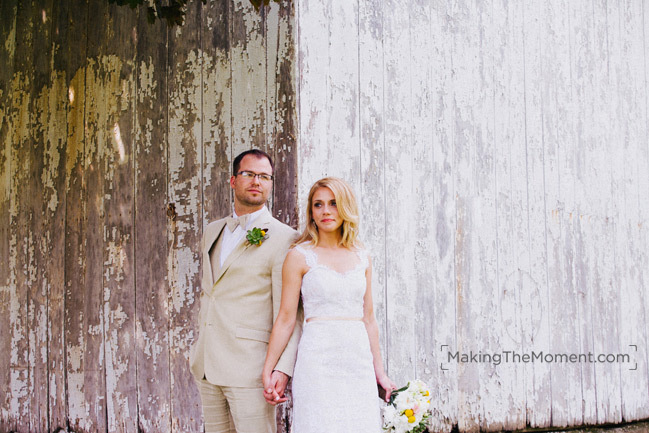 What’s clear in this wedding photography at Brookside Farms, is that Kat & Brandon genuinely love each other. 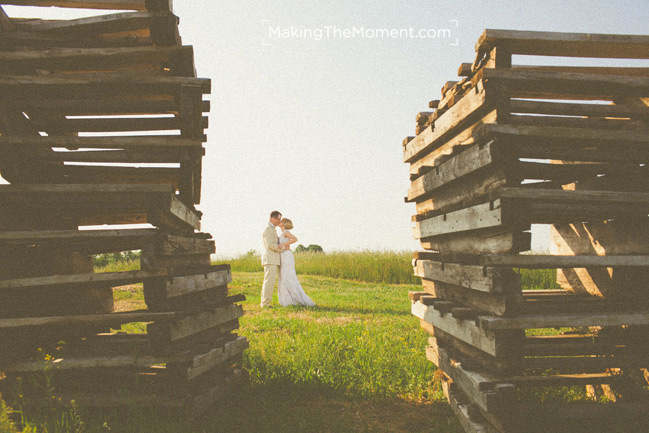 Hay bails and stacked crates are all part of the farm scenery and feel at Brookside Farms, and they all find their way into our creative wedding photography approach. 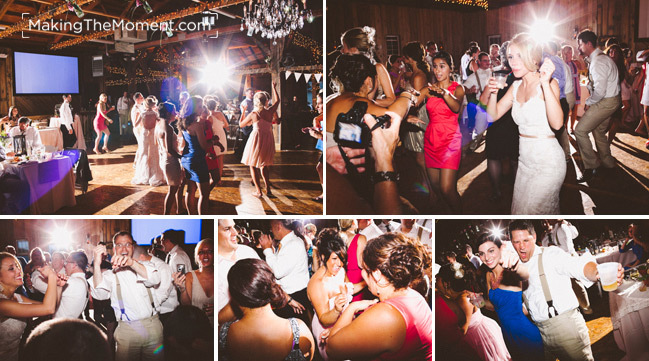 The wedding reception at Brookside Farms was simply adorable. 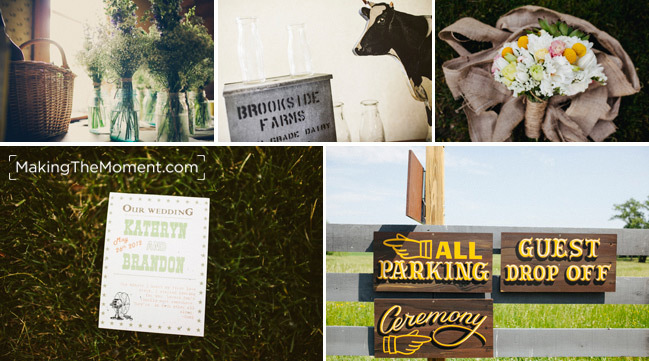 I can’t even begin to describe the level of effort and thought that went into Kat’s wedding decorations at Brookside Farms for her wedding reception. 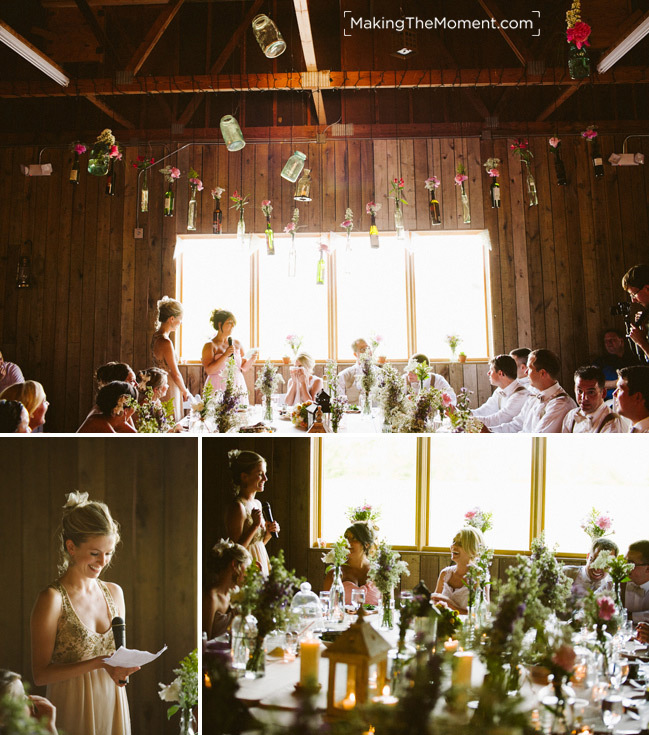 Kat’s entire wedding reception at Brookside Farms felt like a piece out of an anthropologie catalogue. That’s appropriate because she worked there for some time – and her designer and feminine touch came to life all throughout this beautiful wedding. 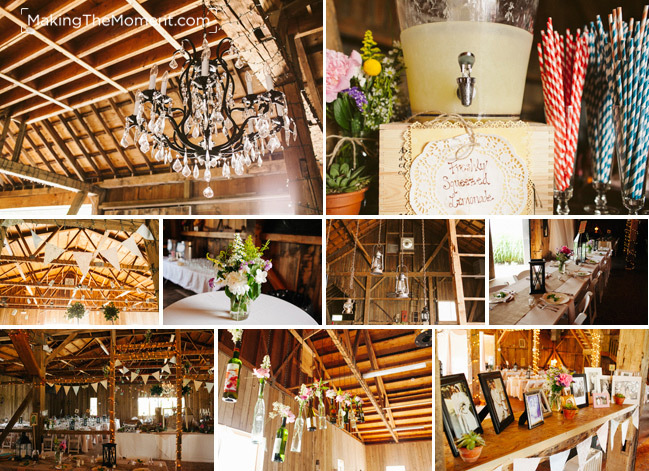 The reception at the barn had such an old world / country feel. Everything had such a classic touch and feel to it that you could have sworn you stepped back in time. 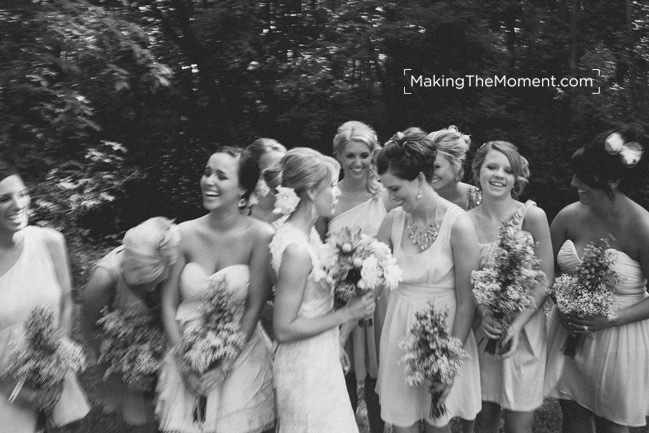 Moments like these are where being a candid wedding photographer has so much value. Through the power of unobtrusive photojournalistic wedding photography I can tell so much story. It’s not just about pictures of a couple on a wedding day – it’s about story. Their first dance was much fun to photograph. 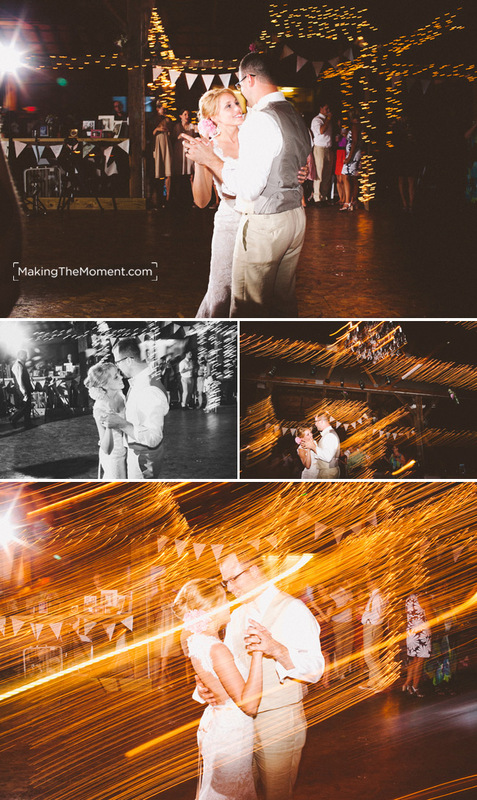 I took some creative liberties with capturing their first dance at this Brookside Farms wedding reception. After dinner (courtesy of awesome caterer), we partied the evening away. The dancing was fun, and so enjoyable to capture. 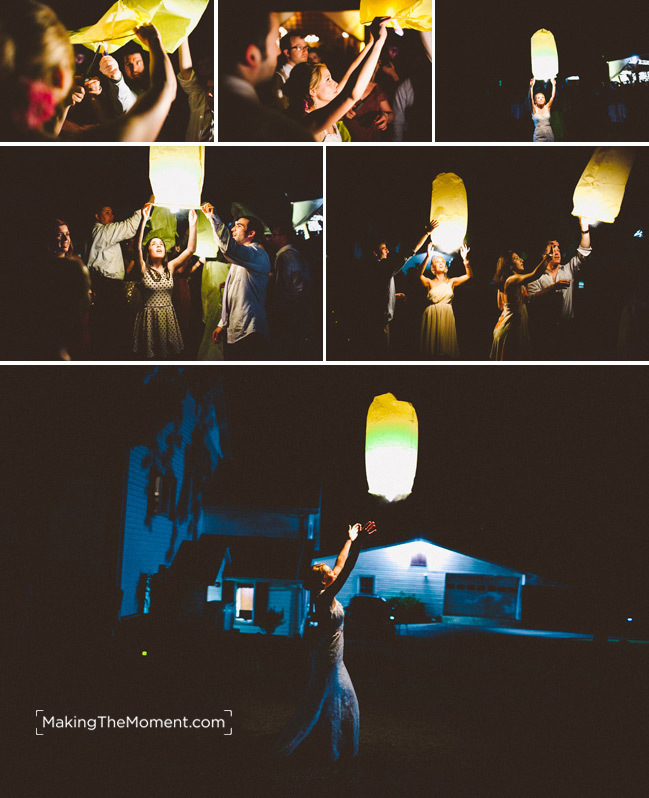 How else to better wrap up a wedding reception at Brookside Farms in Ohio then a night lantern / wish lantern send-off? Such sweet moments, and such a fitting end to this magical wedding. well done benjamin ~ can’t wait to see every photo ~ thanks for being there and staying so late!